Objective:The aim of this study was to report our experience with conservative management of pediatric blunt abdominal solid organ injuries regarding indications, complications, outcome, and success and failure rate. Method:A retrospective study was carried out at Queen Rania Al-Abdullah Hospital for Children between May 2012 and October 2015, it involved 54 cases who sustained blunt abdominal trauma, 39 were males (72.2%) and 15 were females (27.8%), male to female ratio was 2.5:1, age of patients ranged from three months up to 14years with mean age of 6.4 years. Results:Non-operative management of pediatric blunt abdominal solid organ injuries was applied for 54 patients, 22 cases with isolated splenic injury, 15 cases with isolated liver injury, six cases with isolated renal injury, two cases with isolated pancreatic injury and nine cases with multiple solid organ injuries. Fifty-onecases (94.4%) were successfully treated with non-operative management, three cases (5.6%) underwent laparotomy after failure of non-operative management. 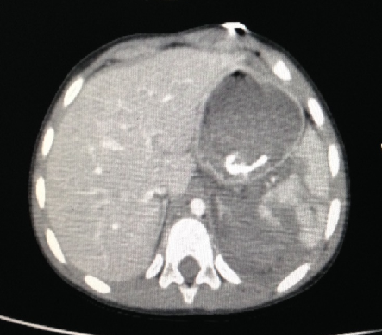 No complications were identified duringnon-operative management apart from one case of pseudo cyst after pancreatic injury. Conclusion:Non-operative management of pediatric blunt abdominal solid organ injuries in hemodynamically stable patients is a safe,reliable, simple and effective method with high success rate.It avoids unnecessary laparotomies and post-operative complications. Blunt trauma is the most common mechanism of abdominal injury and mainly due to road traffic accidents followed by falls. (2,3,7,8)Thespleen is the commonest solid organ injured in pediatric blunt abdominal trauma with an incidence of 45%,(1,9) followed by liver (35%),(10)kidneys (10%),(1,11) and to a lesser degree is the pancreas (1.5-3.5%). (8,12)(See Figures 1-4). 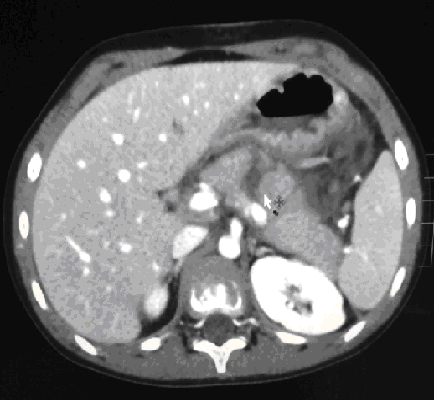 Fig 1: Left renal injury. A retrospective study was conducted at Queen Rania Al-Abdullah Hospital for Children from May 2012 to October 2015. It involved 54 patients who sustained blunt abdominal trauma, 39 patients were males (72.2%) and 15 were females (27.8%), male to female ratio was 2.5:1.Patient ages ranged from three months up to 14 years with mean age of 6.4 years.Patients who were laparatomized due to associated bowel or bladder injury, penetrating abdominal injury andpatients referred from other hospitals after being admitted there for few days were excluded from this study. The non-operative management for hemodynamically stable patient with its complications, blood transfusion reactions and the possibility of laparotomy due to management failure were explained to the parents and a signed consent form was obtained. Pediatric intensive care unit (PICU) admission and length of stay wasaccording to general patient medical condition, isolated versus multiple organ injuries and the grade of injuries.Success of non-operative management is documented by normalization of vital signs and stabilization of hematocrit without need for blood transfusion at admission and during the 72 hours from hospitalization.If non-operative management failed due to ongoing profuse bleeding or undiagnosed concurrent other abdominal organ injury with deterioration of patient condition, patient was sent for exploratory laparotomy. Patients were followed up as outpatients after two weeks from discharge, one month, six months and later once yearly for two to five years with abdominal sonography. Non-operative management of pediatric blunt abdominal SOI was applied for 54 patients.The incidence of isolated splenic injury was 40.7%, isolated liver injury was 27.8%, isolated renal injury was 11.1%, isolated pancreatic injury was 3.7% and multiple injuries were 16.7%. The mean grade of solid organ injuries was 3.5, the average stay length in PICU was three days while the overall length of hospital stay was 7.9 days. The average hematocrit was 30.4% and the rate of blood transfusion was 62.5% with the amount of 15ml/kg.Fifty-one cases (94.4%) were successfully treated nonoperatively, three cases (5.6%) underwent laparotomy after failure of non-operative treatment.All patients were followed for two to five years at theoutpatients’clinic. Mean follow up duration was 3.5 years. Redhu, Khalid, Khalid and colleagues(4) reported in their study in India that the spleen was the commonest solid organ injured after blunt abdominal trauma with incidence of 37% followed by liver (22.5%),in our study we had also the same order of frequency with incidence of isolated splenic injury of 42.6% in addition to 18.5% combined splenic injury with other organs injury whereas the incidence of isolated liver injury was 27.8%.Arslan, Güzel, Turan and colleagues(10) in Turkey reported a success rate ofnon-operative management of blunt abdominal injuriesabout 87% andCerit, Ergelen, Abdullayev and colleagues(22) reported that non operative management failure rate is <10%, while in our study the success rate was 94.4%. The cause for our higher success rate may be explained by the management of pediatric trauma patients by a pediatric surgical specialist in a specialized hospital for children. Fox, Boysen, Gharahbaghianet al. (3) in their study reported that FAST was done by Emergency medicine resident in 62% of total cases, attending emergency physician in 21%, U/S fellow in 8% and by surgeon in 8% of the total cases. FAST is not available at our hospital because it has a low sensitivity and specificity in addition to the fact that finding of free peritoneal fluid will not affect the management in hemodynamically stable patients, at our ER instead of FAST we use abdominal U/S in hemodynamically stable patient which is performed by a senior radiological resident under the supervision of radiologist specialist. In a study conducted in Kansas city Missouri(20) the rate of blood transfusion was 36.7% while it was 62.5% in our study, our high rate of blood transfusion is due to the higher mean grade of SOI which was 3.5 while it was 2.4 in theirstudy, in addition to there were variable protocols in transfusing blood according to hemoglobin level where at our hospital we transfuse blood if hemoglobin level is lower than ten. In another study conducted in Columbus(6) pediatric injury had no gender variability and peaked at teenage years except for falls while in our study pediatric abdominal trauma peaks around age of five years and it predominates in males with male to female ratio about 2.5:1, this is may be due to different social and cultural issues.Streck and Jewett(13)reporded intheir study at the medical university of South Carolina that Road Traffic Accident was the commonest mechanism of blunt abdominal trauma with incidence of 76% followed by falls (16.8%) whereas in our study falls was the commonest mechanism of blunt abdominal trauma with incidence of 55.5% followed by Road Traffic Accidents (33.3%), this difference may be attributed to higher age groups in Streck and Jewett’sstudy and different surrounding environments and culture. Zabolotny, Hancock,Postumaand colleagues(15)in their study of blunt splenic injuries in a Canadian pediatric population reported that the average length ofPICU stay was 1.9 days and the overall hospital stay was 9.2 days while in our study the average length of PICU stay was three days which is higher possibly due to a higher mean grade of injuries in our study which was 3.5 and 2.8 comparatively. Additionally in our study there was a high incidence of associated injuries involving the liver,kidneys, head, and/or lung which was 40.7% while this study was on isolated splenic injuries alone, and despite of that the overall length of hospital stay of 7.9 days is similar in both our and their study.Redhu, Khalid, Khalid,etal. (4)reported that spleen wasthe mostcommon solid organ requiring operative intervention after failure of non-operative management which was the same in our study and this is because spleen is the most common injured organ due to blunt abdominal trauma. They report a mortality rate after non-operative treatment failure and post-operative complications about 2.5% while we had no mortalities related to failure of non-operative managementor post-operative complications. Non-operative management of pediatric blunt abdominal SOI in hemodynamically stable patients is the best choice. It is reliable, safe and simple method with a high success rate.It avoids unnecessary laparotomies and post-operative complications and improvessalvageability of solid organs.Unrecognized or delayed diagnosis of abdominal SOI after blunt abdominal trauma is a preventable cause of death. Prevention through family education about proper supervision of their children during playing can decrease trauma morbidity and mortality. 1. Schacherer N, Miller J, Petronis K. Pediatric Blunt Abdominal Trauma In The Emergency Department: Evidence-Based Management Techniques. EB Medicine. October 2014; Volume 11, Number 10. 2. AllenCJ ,Tashiro J, Sola JE. Role of FAST or Abdominal Ultrasound to Limit CT Imaging in Evaluation of the Pediatric Abdominal Trauma Patient.CurrSurg Rep (2014) 2:56. 3. Fox JC, Boysen M, Gharahbaghian L, et al. Test Characteristics of Focused Assessment of Sonography for Trauma for Clinically Signiﬁcant Abdominal Free Fluid in Pediatric Blunt Abdominal Trauma. Academic Emergency Medicine 2011; 18:477–482. 4. Redhu N, Khalid S, Khalid M, et al. Diagnostic efficacies of computed tomography and ultrasonography in pediatric blunt abdominal trauma. Archives of International Surgery / September-December 2013 / Vol 3 / Issue 3. 5. Jacobs MA, Hotaling JM, Mueller BA, et al .Conservative Management vs Early Surgery for High Grade Pediatric Renal Trauma—Do Nephrectomy Rates Differ?.JUrol . 2012 May ; 187(5): 1817–1822. 6. Boulger C, El-Shammaa E. Pediatric Abdominal Trauma Making a Difficult Diagnosis. Emergency Medicine May 2012. 7. PrasadNH, Devraj R, Chandriah GR, et al. Predictors of nephrectomy in high grade blunt renal trauma patients treated primarily with conservative intent. 2014; volume: 30, issue: 2, page: 158-160. 8. AnandAlladi and Venkatachalapathy. Pancreatic Injury in Children: Role of NonoperativeManagement .Pancreat Disorders Ther ISSN: 2165-7092 PDT an open access journal , Volume 2 • Issue 4 • 1000108. 9. Oumar N, Dominique F, Nikola k, et al. Results of non-operative management of splenic trauma and its complications in children. Journal of Indian Association of Pediatric Surgeons / Jul-Sep 2014 / Vol 19 / Issue 3. 10. Arslan S, Güzel M, Turan C, et al .Management and treatment of liver injury in children .Ulus TravmaAcilCerrDerg, January 2014, Vol. 20, No. 1. 11. Freedland SJ, Eilber KS, Palapattu GS, et al .Conservative Management of a Grade 4 Renal Laceration in a Child . Reviews in Urology. 2001;3(1):40-41. 12. Haugaard MV, Penninga L, Gluud C, Wettergren A, et al. Non-operative versus operative treatment for grade III to V blunt pancreatic trauma in children (Protocol). The Cochrane Library 2012, Issue 4. 13. Streck CJ, Jewett BM. Evaluation for intra-abdominal injury in children following blunt torso trauma. 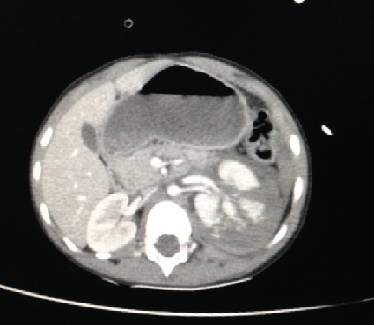 Can we reduce unnecessary abdominal CT by utilizing a clinical prediction model? J Trauma Acute Care Surg. 2012 August; 73(2). 14. Thorp AW, Young TP, Brown L. Test Characteristics of Urinalysis to Predict Urologic Injury in Children .Western Journal of Emergency Medicine . May 2011;Volume XII, no. 2 . 15. Zabolotny B, Hancock BJ, Postuma R, et al. Blunt splenic injuries in a Canadian pediatric population: the need for a management guideline . J can chir, October 2002;vol. 45, no 5. 16. GainesBA .Pediatric trauma and the Pediatric Trauma Society: Our time has come. J Trauma Acute Care Surg. Nov 2014;Volume 78, Number 6. 17. Loveland JA. Conservative management of intra- abdominal injuries .CME March 2010 Vol.28 No.3. 18.Stanislaw P. A. Stawicki. Trends in nonoperative management oftraumatic injuries – A synopsis.Int J CritIllnInjSci 2017;7:38-57. 19. 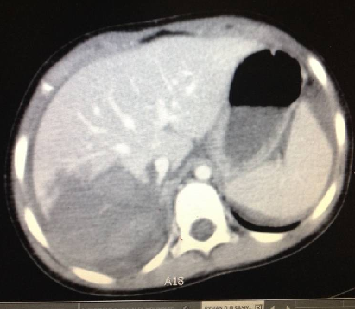 Arnold M, Moore SW .Paediatric blunt abdominal trauma – are we doing too many computed tomography scans? . SAJS. Feb 2013; VOL 51, NO. 1. 20. Keckler SJ, Tsao K, Sharp SW, et al .Blood Utilization in Children Managed Non-Operatively for Blunt Solid Organ Injury .J SurgRes . 2008 June 15; 147(2): 237–239. 22. Cerit KK, Ergelen R, AbdullayevT,et al. The effectiveness of non-operative treatment in high-grade liver and spleen injury. Ulus TravmaAcilCerrahiDerg 2018.